Many years ago, an airline mechanic acted on his heart desire to share the love and message of Christ with his co-workers. This led to formation of several regular Bible study/prayer groups taking place in the simply surroundings of break rooms at work. 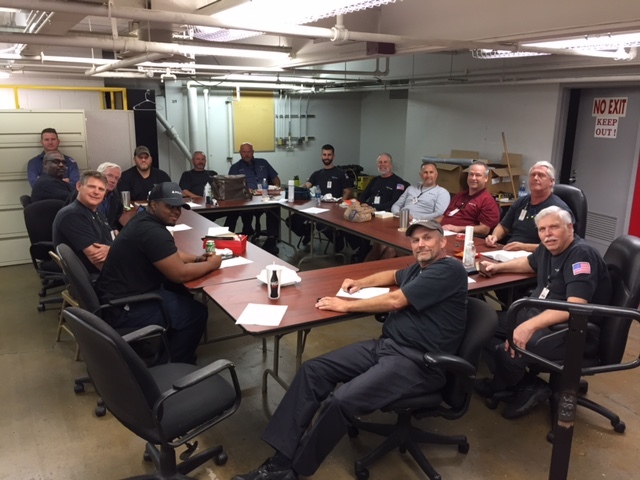 What began with only a few meeting together has now turned into usually 15-20 coming together on a regular basis (pictured above). We thank the Lord for those who courageously act on their desire to see others come to Christ and live for Him. If you have such a desire for your own work area and need help in getting things going, please e-mail us or give us a call at (770) 461-9320. We would be delighted to talk with you and help. That is one major reason FCAP exists! 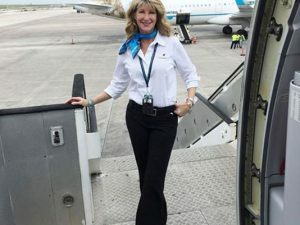 “This is an amazing story… I was working this flight and can’t say enough about how awesome Kirsten was to help this beautiful pregnant woman when she began having contractions on our flight. She had a toddler in her lap, her husband was deployed and she was to have a C-Section in a few weeks because she was unable to have the baby normally.